A bold addition to a family home in Herne Hill. 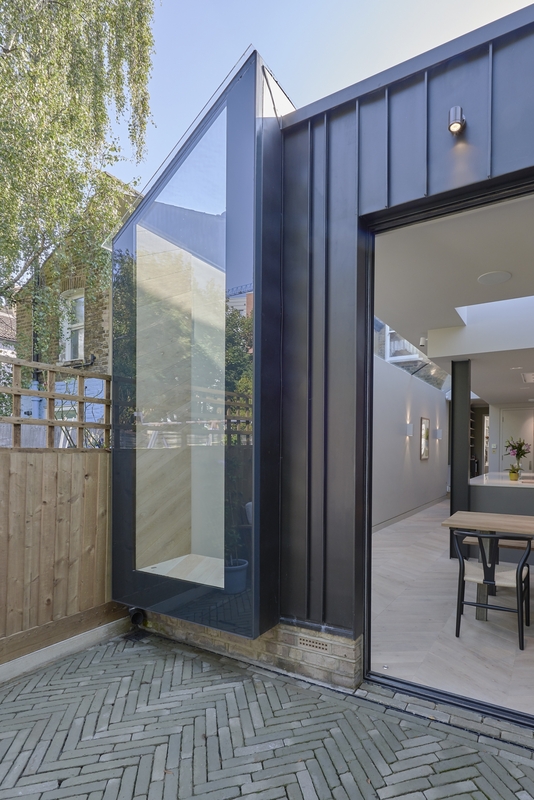 We were commissioned to design a contemporary wrap around extension and mansard loft conversion on this typical London terrace on Shakespeare Road in Herne Hill. The reconfigured and extended ground floor space created a open plan kitchen dining area, utility cpd and cloak room. The space features a dramatic 9m long roof light connected with an oriel window looking out onto the garden. The striking rear elevation used an anthracite grey zinc cladding, and the patio was finished with a clay herringbone paver, matching the pattern of the floor finish internally. 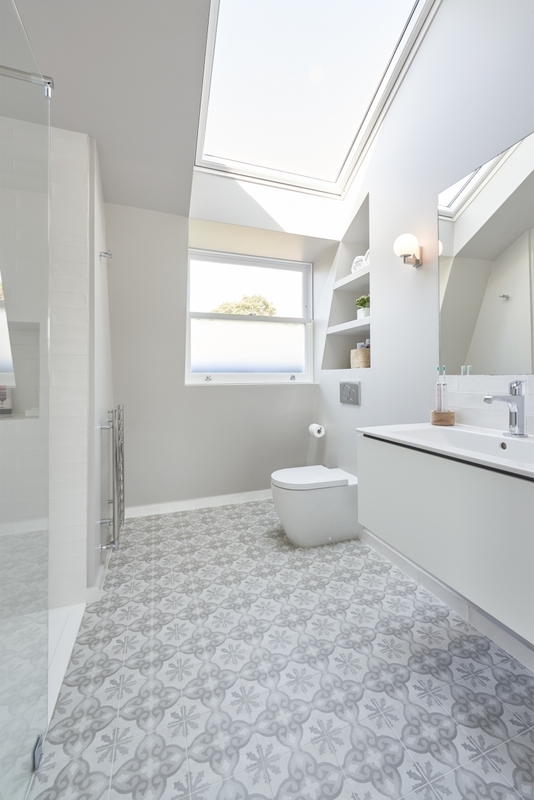 In the loft, we created a stunning master suite with individual vaulted ceilings in each space. With the stairwell, a bespoke timber staircase echoed the details of the existing house but created a light-filled two storey void. Elsewhere in the house we altered the hallway to provide easier circulation, upgraded the heating & AV systems, and completely redecorated the house. The scheme was long listed for the New London Architecture, Don’t Move Improve awards 2018, and is currently exhibiting in the accompanying exhibition at the Building Centre on Tottenham Court Road. It is due to appear in a full feature in an upcoming edition of home builder’s magazine Build It.